This new edition of the best-selling manual, The Royal Children's Hospital Melbourne Paediatric Handbook 9th Edition is a succinct and practical guide to managing common and serious disorders in childhood. Relevant to medical, nursing and allied health fields, this is both a useful source for revision and an essential guide to clinical management and rapid decision-making at the point of care. 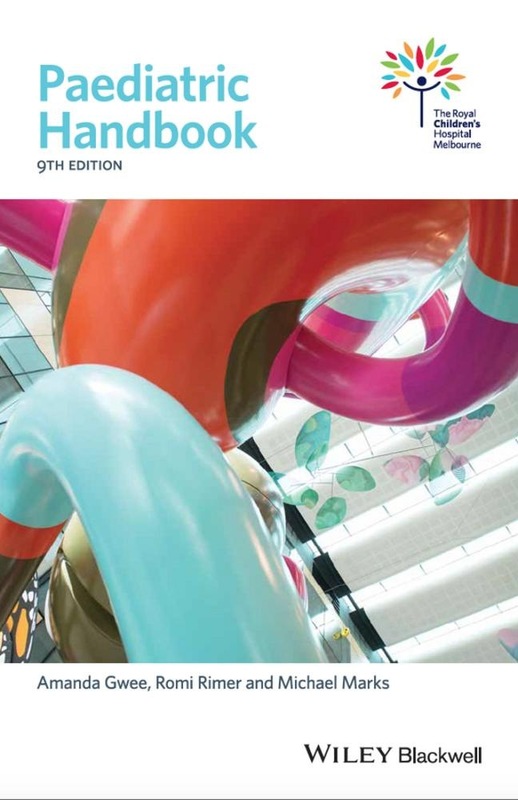 For this edition, the handbook has been restructured according to body systems and is now more closely aligned with the Royal Children's Hospital Clinical Practice Guidelines. It also includes updated evidence-based information in all chapters, an additional genetics chapter, new renal and oncology chapters and fully updated drug doses. The Handbook includes: Clear illustrations, and plenty of accessible diagnostic and management algorithms A Paediatric Pharmacopoeia Step-by-step guidelines for paediatric procedures Emphasis on the modern, community-based approach to the management of children's problems A strong emphasis on practical management by the doctor at first contact With well-presented, summarized information that you can easily access during a consultation, this text is also an excellent supplemental handbook for students, junior medical staff and medical practitioners. Acquista Paediatric Handbook in Epub: dopo aver letto l’ebook Paediatric Handbook di ti invitiamo a lasciarci una Recensione qui sotto: sarà utile agli utenti che non abbiano ancora letto questo libro e che vogliano avere delle opinioni altrui. L’opinione su di un libro è molto soggettiva e per questo leggere eventuali recensioni negative non ci dovrà frenare dall’acquisto, anzi dovrà spingerci ad acquistare il libro in fretta per poter dire la nostra ed eventualmente smentire quanto commentato da altri, contribuendo ad arricchire più possibile i commenti e dare sempre più spunti di confronto al pubblico online.